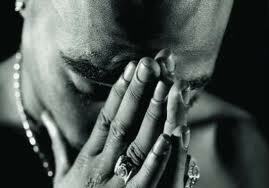 Yesterday, September 13, 2011 marks the 15th anniversary of the death of Tupac Amaru Shakur from gunshot wounds after being shot multiple times on September 7, 1996 in Las Vegas after watching the Mike Tyson-Bruce Seldon boxing fight at the MGM Grand. It wasn’t the first time that Tupac came under fire. On November 30, 1994, Shakur was shot five times and, like a mythical urban superhero, checked himself out of the hospital against the doctor’s orders, living to tell his tales through rap. I remember this from the song “Hit ‘Em Up,” where he cursed and tell shits about who shot him and wants him dead. I remember back in high school when I first heard Tupac Shakur songs that I instantly became a fan of his music and poetry. The lyrics is not just about something trashy just like the few ones we here today (not in general). Whether you admit it or not, some rap songs today doesn’t even ring a bell. Tupac Shakur’s lyrics and music is something that can struck your mind and heart that what’s written in there is not just simple words built together to put up a hit song but words that shows what the real society is all about. I cannot forget the song “Changes” where Tupac mentioned that the society that we are living in doesn’t even make any changes for us to live better and that we are not ready to see a black president. If he is living now, I’m sure he will be very happy seeing President Obama sitting in the White House. Some of my favorite Tupac Shakur songs includes: Changes, Unconditional Love, Dear Mama, Hail Mary, California Love, Life Goes On, Me Against The World, Thugz Mansion, I Ain’t Mad At You and many other tracks.